Since the publication of New Kid, equally popular companion books followed, including Something Big Has Been Here (1990), A Pizza the Size of the Sun (1996), and It’s Raining Pigs & Noodles (2000). 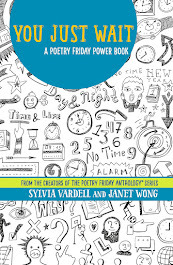 My Dog May Be a Genius is a fitting successor to this comic legacy and includes concrete poems, puns, and even two poems about reading and the library (and you know how I love those!). [Indices to titles and to first lines are also included.] 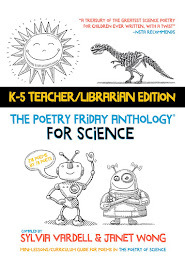 Here’s one sample poem that I think kids will love. What about putting it on a valentine next February? I still would be your friend. our friendship would not end. I’ll still be friends with you. From: Prelutsky, Jack. 2008. My Dog May Be a Genius. New York: Greenwillow, p. 42. Pizza, Pigs, and Poetry; How to Write a Poem is Prelutsky’s offering to young, aspiring poets out there and to readers of all ages who might be interested in the back story behind many of his popular poems and his poetry writing process. 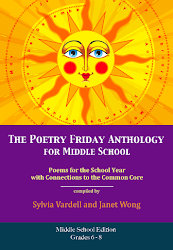 This reader-friendly volume (targeting ages 7-10) consists of about 20 autobiographical anecdotes, 20 stand-alone writing tips, connected with poems referenced in both. Each is written in his inimitable, humorous style incorporating his personal experiences as well as responses from kids over the years. 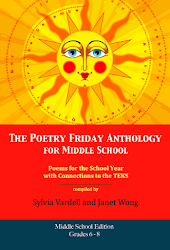 He also introduces poetry terms and concepts such as voice, scansion, meter, etc. with helpful sidebars. 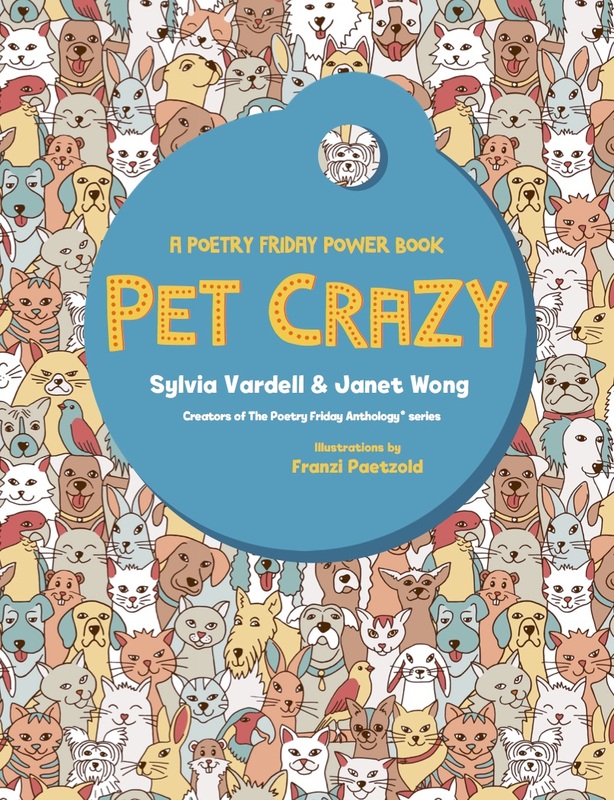 Most of the poems trade on his humorous rhyming verse, but he includes haiku and concrete poems, too. 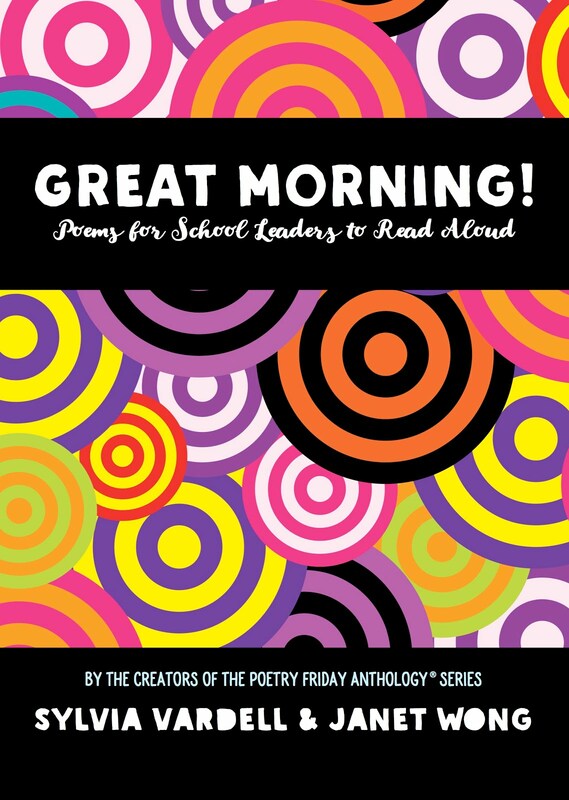 The book ends with 10 “Poemstarts” that offer kids a formula for building poems based on patterns. A glossary and index are additional tools included. Teachers will appreciate Prelutsky’s emphasis on keeping a poetry notebook (or journal) and on the need for constant rewriting. 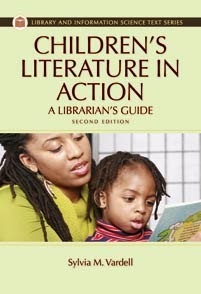 Librarians will appreciate his sending young readers to the library for the thesaurus and other tools. One note for parents: Prelutsky offers a smorgasbord of food pranks (and others) that he and his brother pull on their parents. 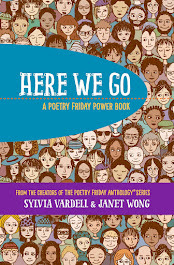 It’s hilarious, but… :-) This is an excellent addition to books on poetry writing for young kids, particularly since it helps us get in the head of a poet, so to speak. “One of the things that I did to make my father so mad at me was to pin his underwear up on the wall. Before I did that, though, I decorated it. You see, my father wore really boring white underwear, and I wanted to make it pretty, so I painted it with finger paint. THEN I pinned it to the wall. My father didn’t like that at all. From: Prelutsky, Jack. 2008. Pizza, Pigs, and Poetry; How to Write a Poem. New York: Greenwillow, p. 3-4. And for a “greatest hits” collection of another hundred Prelutsky poems (+ 15 new ones) gleaned from many of his most popular collections, look for Be Glad Your Nose is on Your Face and Other Poems (Greenwillow), illustrated by Brandon Dorman. The CD of selections read by Prelutsky himself is an excellent addition. 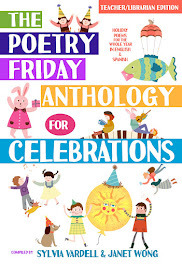 Kids who’ve never had the opportunity to hear him perform his poetry will love these singing, yodeling, yelling renditions of his poems, many with accompanying music. 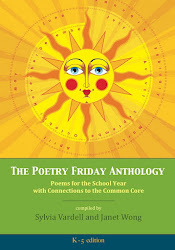 For more on Prelutsky, look for my birthday posting about him and his work on September 8, 2007, or my entry for him in POETRY PEOPLE; A PRACTICAL GUIDE TO CHILDREN'S POETS (Libraries Unlimited, 2007). 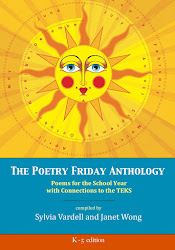 For more Poetry Friday treats, go to my fabulous former student's blog: Becky's Book Reviews.